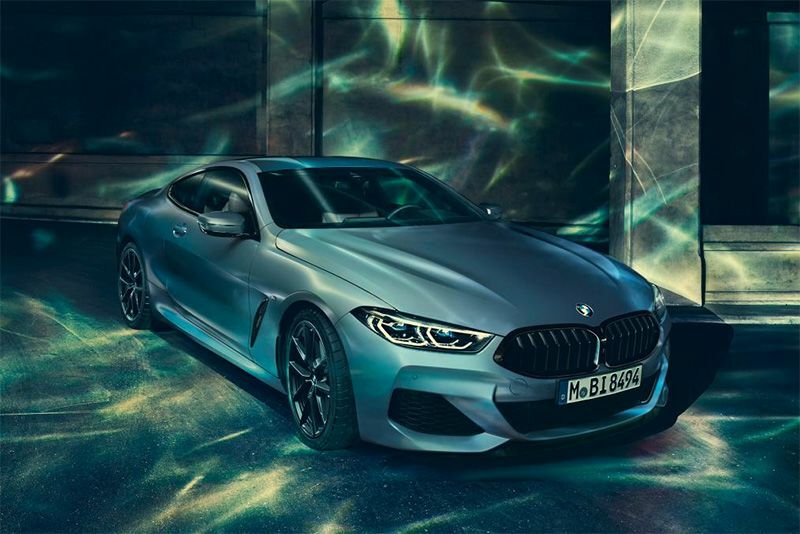 BMW has announced a 400-run of their BMW M850i xDrive Coupe First Edition. The First Edition of the BMW M850i will be limited to just 400 units, feature unique exterior trim and paintwork, and will be loaded with a host of interior features. These limited edition vehicles have had their interior and exterior enhancements commissioned by BMW Individual, those are the chaps who deal with customisation. On the outside, the M850i First Edition receives a blackout of its kidney grilles, window surrounds and exhaust tips, while the 20-inch alloys wheels are painted in an exclusive metallic blue. Hop inside, and clients will be treated to a leather M-Sport steering wheel and Alcantara roof lining with Ivory White and Night Blue leather upholstery. Audio is provided by Bowers and Wilkins system and, to make the owner feel extra special, there's an etched plaque with the vehicles exclusive build number attached to the dashboard. Once on the move, BMWs 4.4-litre twin-turbo V8 sends 523bhp and 750Nm of torque to all four wheels via an eight-speed automatic gearbox. They claim it takes just 3.7 seconds to do 0-62mph and top speed is limited to 155mph. If all of this isn't exclusive enough, there are optional extras such as a carbon fibre roof, bumper trim, mirror caps and side skirts. Production is due to start in the Nothern Hemisphere's spring so expect pricing for the new BMW M850i xDrive Coupe First Edition to be announced closer to the time.